A Roof Maxx treatment is guaranteed to extend service life 5 years per treatment, up to 15 years with multiple treatments. Working in close collaboration with global leaders in Bio-Tech discovery in research, academia, and commercial development, Roof Maxx is a all-natural plant based treatment that’s 100% safe for people, pets, property, and the environment. 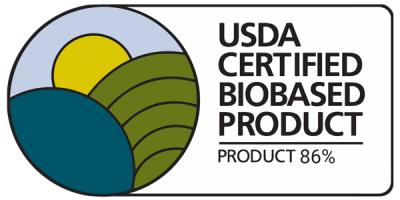 A renewably sourced, bio-based alternative, Roof Maxx’s scientific formulation uses the latest green technology offering benefits to worker and consumer health, the environment, America’s economy and energy security. A Roof Maxx treatment is guaranteed to extend service life. Green is a trend, sustainability is a mindset. While green is good, ultimately it is sustainability that matters. The greenest roof is improving the one you already have. A truly sustainable roofing system has the best possible performance for the longest period of time. Fewer replacements are better from a material, energy, and waste perspective. 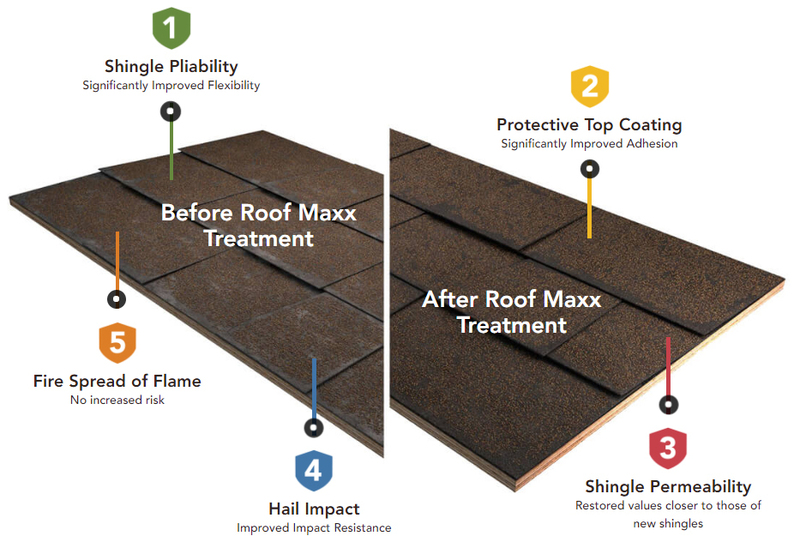 The primary goal of an Roof Maxx treatment is getting you the most life from your existing roofing system. Your roof is much more than just the shingles over your head. There are numerous components that are critical to a properly functioning system. Gutters and downspouts, skylights, chimneys, ventilation systems and attic insulation all must work in concert to keep your home healthy. Working in close collaboration with global leaders in Bio-Tech discovery in research, academia, and commercial development, Roof Maxx is a all-natural plant based treatment that’s 100% safe for people, pets, property, and the environment.